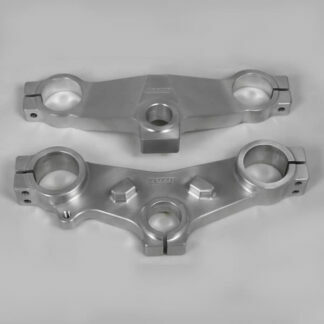 CNC machined from 5083 alloy and originally designed for our Magnum chassis kit but suitable for most older bikes when updating the front end. Particularly suitable for machines with relatively shallow (by today’s standard) steering head angle or when using 18″ front wheel. 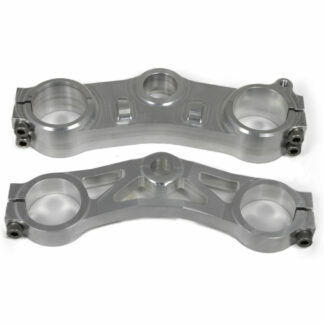 Each set of yokes come complete with steering stem and one set of inserts giving two possible offset choices. 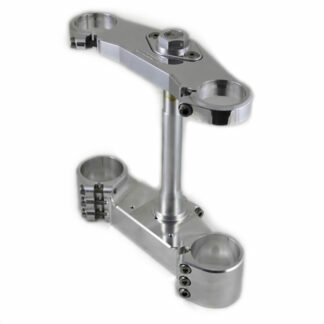 These yokes are designed to allow easy adjustment of the fork offset by means of eccentrically bore steering stem inserts. 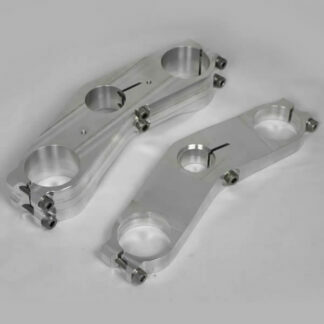 Inserts are available in 1mm increments. 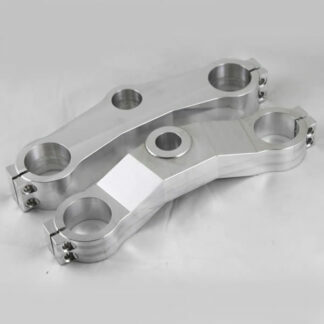 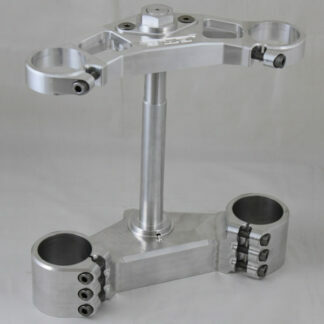 Changing the distance that the fork legs are in front of the steering stem changed the trial, this is the most important adjustment you can make when fine tuning the handling characteristics of your motorcycle.